MOSCOW, July 16. /TASS/. 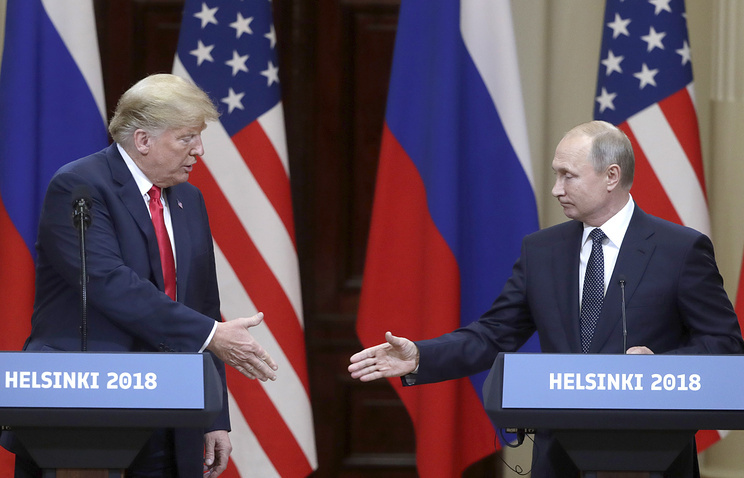 After talks with his US counterpart Donald Trump on Monday, Russian President Vladimir Putin described the US leader as a "competent person," who can listen to the opponent’s reasoning and understand it. "He is a very competent person… he can listen to and understand the line of reasoning," Putin said. "On some matters, he sticks to his opinion," Putin added, citing the nuclear deal with Iran as an example. Besides, Putin said Trump was an "interesting interlocutor." "Everyone perceives him as just a businessman. I think that this is not so, because, anyway, he is already a politician, first of all because he can follow his electorate and understand what his voters want from him, what the people want," Putin said. 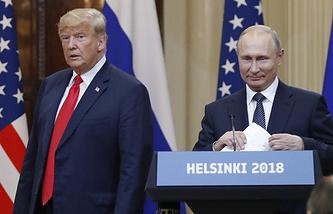 Monday’s meeting in Helsinki was the first full-format Putin-Trump talks. Before that, they met twice - in July and November 2017 - on the sidelines of major international forums.